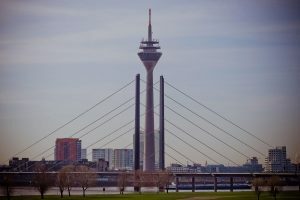 Dusseldorf For Expats - What Makes It The Perfect City? 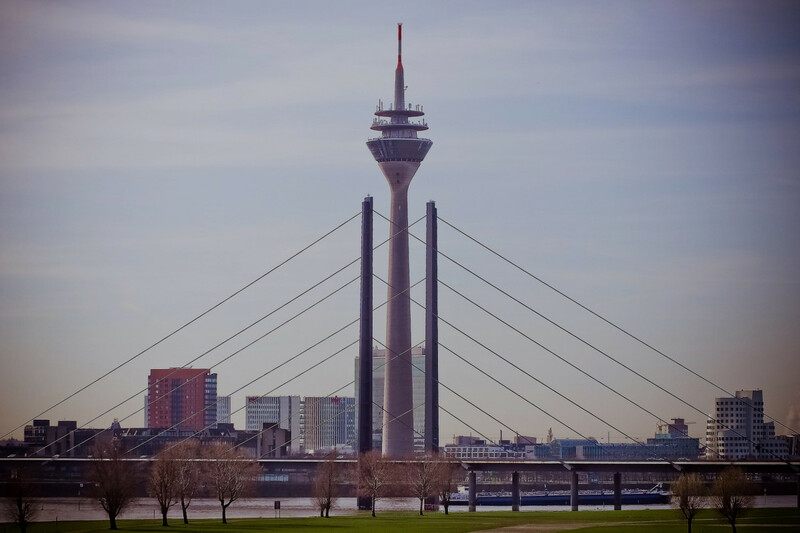 Dusseldorf For Expats – What Makes It The Perfect City? Where are the best locations to live in Germany? It's a question which is frequently posted on online forums and which is tricky to answer objectively. It's highly dependent upon personal preference and reasons for relocating here. Most expats choose to come to Germany either because of love, or because of the strong economy and plentiful job opportunities. If you belong to the former category, the question of location is usually pre-decided by where your partner is from. However, if you're footloose, then read on…! 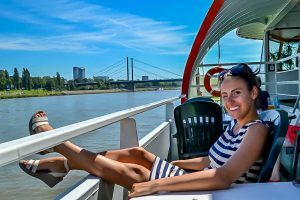 Jenna Davis, Founder and Community Explorer at Life in Düsseldorf, is here to tell Live Work Germany readers exactly why Dusseldorf for expats is the perfect city. Often times, when people think about making the exciting international move to Germany, they consider the big three. Berlin with its youthful hipster scene and a magnet for start-ups; Munich for its traditional feel, high quality of life and proximity to the Alps; or Frankfurt as a well-known international hub and financial centre, with its compact, easily navigable inner-city. That’s only natural. Typically, life in a big city also brings international business networking opportunities and loads of potential to meet English speaking friends. It’s this idea of minimizing the culture shock that naturally has us as expats gravitating towards the larger cities around the world. However, don’t let the size of the city sway your decision, take tips from the rest of us expats and spend some time online reading up on why certain cities are so popular for expatriates. A Mercer Report that came out earlier this year listed 3 German cities in the top 10 for having the world’s best standards of living. Can you guess which 3 made the list? Munich, Düsseldorf and Frankfurt. While Munich and Frankfurt might not come as a surprise, Düsseldorf is a new and hot city for expatriates and international workers. Despite Düsseldorf being a relatively small city (approx. 600,000 people) when compared to Berlin, Munich and Hamburg, the city actually some of the most engaged expat communities. 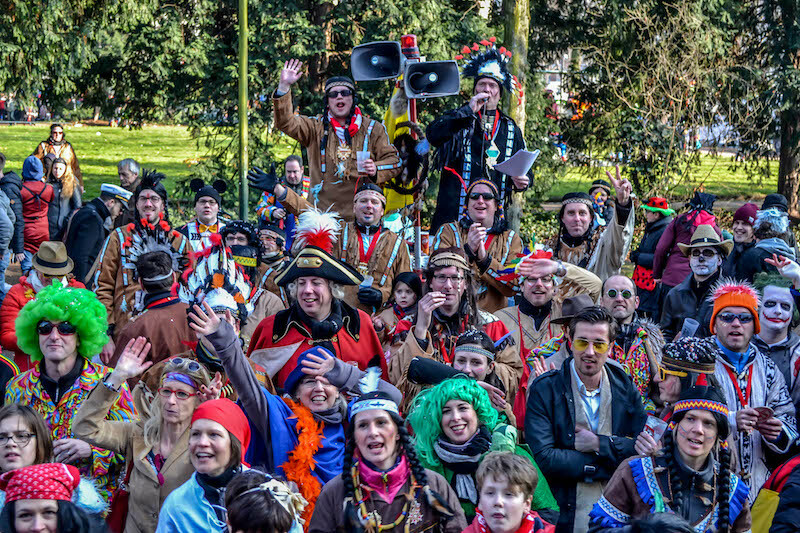 The expatriate groups in Düsseldorf can be both large and small, general and specific. 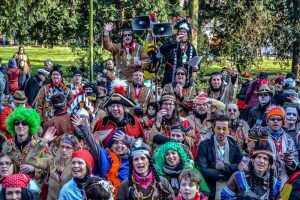 You can join groups like the Düsseldorf Expat Meetups and interact with a community of over 11,000 expats or you can join a smaller group and take part in toddler meetups or girls nights. You can join an expat football team, a book club, a theatre group… the list goes on. One of the most unique things about Düsseldorf for expats is that depending on what you’re looking for, you’ll constantly get a mix of a big city, small town feel. The brand new underground transit line gets you across the city in a few minutes and allows you to check out some of the coolest events and festivals going on throughout the year (like Karneval, the Rheinkirmes, Japan Day and the Christmas Markets). Alternatively, if you’re looking for some lower key activities, each district has their own community events, flea markets and coffee groups. If you’re looking for the perfect neighbourhood to settle into in the city, check out a few of the hotspots for internationals, and what makes each district so special. Unterbilk: An urban area for young professionals interested in media, culture and coffee. Flingern: A popular international district with excellent late night bars and restaurants. Düsseltal: A central district in the city and a great place for families due to the close proximity to the Zoo Park (a green oasis in the city center). Altstadt / Friedrichstadt: For the late night partiers and clubbers, the Altstadt and Friedrichstadt districts are in the center of all the action. Oberkassel: A wonderful area for families who are looking for a calm and upper class neighbourhood. Of course, there are tons of other districts to choose from in the city, if you’re looking for some more extensive information, you can check out our Neighborhood Guides on Life in Düsseldorf for expats. There are tons of new international opportunities opening up for English speakers living in Düsseldorf. 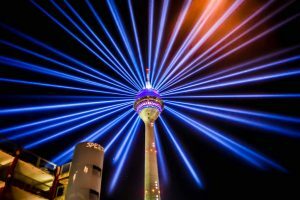 If you’re looking for a list of the top 20 companies in Düsseldorf offering English speaking jobs, you can check out this extensive post. Many of you might already be familiar with companies like Trivago, Vodafone and Henkel who are constantly hiring English speaking international employees. We don't want to give you the false impression here that you will easily be able to find an English-speaking job. Obvious though it may seem, by far the best way to improve your chances of finding employment is to speak German. If you can't afford expensive classes, don't worry, you can get to intermediate level for free. Nonetheless, Düsseldorf is one of Germany's most forward-looking and vibrant cities, as can be attested to by the lively start-up scene. Everything is relative, and the Rhineland in general is certainly less conservative than southern Germany. Believe it or not, Düsseldorf Airport is the third largest airport in Germany and is a great hub if you’re looking for international flights. 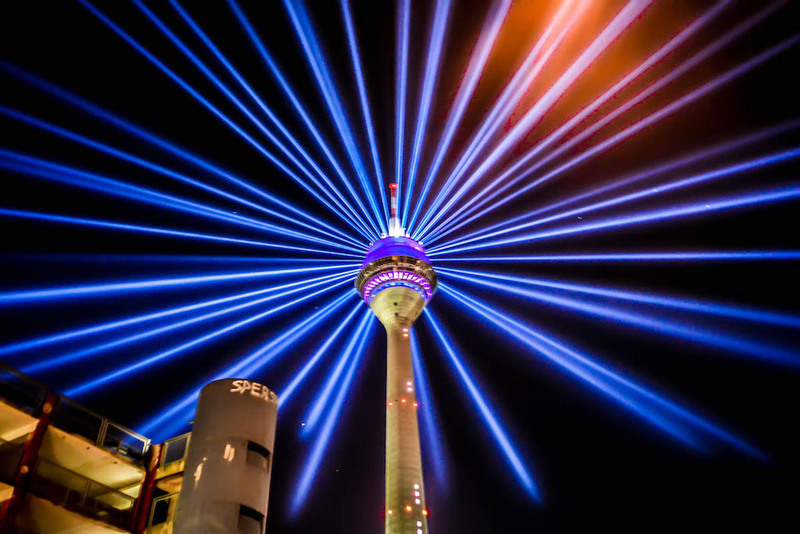 Of course, there are many other cities in Germany that are also considered to be in the heart of Europe, but it’s the accessibility of the Düsseldorf airport that makes it such a popular city to live in. 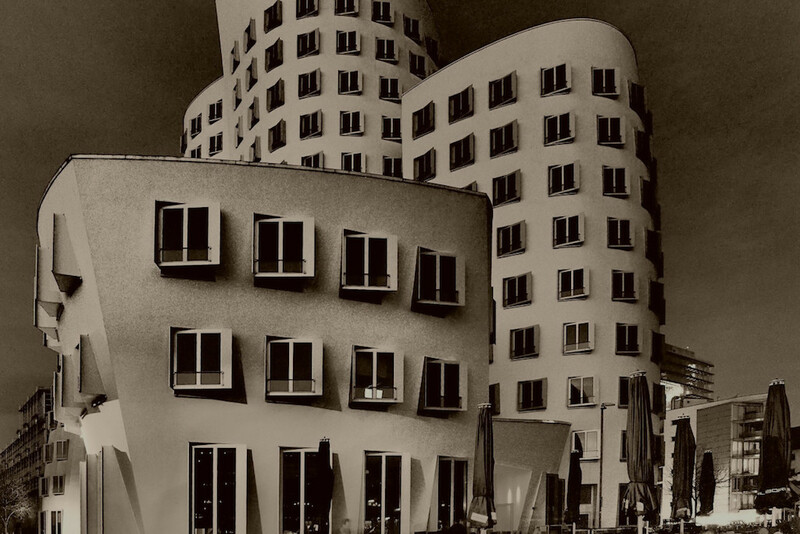 Cities all over the world are continuing to revamp landscapes and introduce new modern concepts into their architecture, but Düsseldorf has always felt like next level modern development to me. Living in Düsseldorf makes you feel like you’re a part of the future. In just two years of living in Düsseldorf I’ve witnessed a number of new buildings, shopping streets and transit systems expand and renovate. We now have some incredible finished projects like the Wehrhahn-Linie, the Kö-Bogen and the “In Orbit” art installation at the K21. It’s exciting, it’s new and it makes me proud to be a member of the Düsseldorf community. So, what do you think? Would you consider making the move to Düsseldorf? Let us know your comments and which cities you would like us to feature in future! 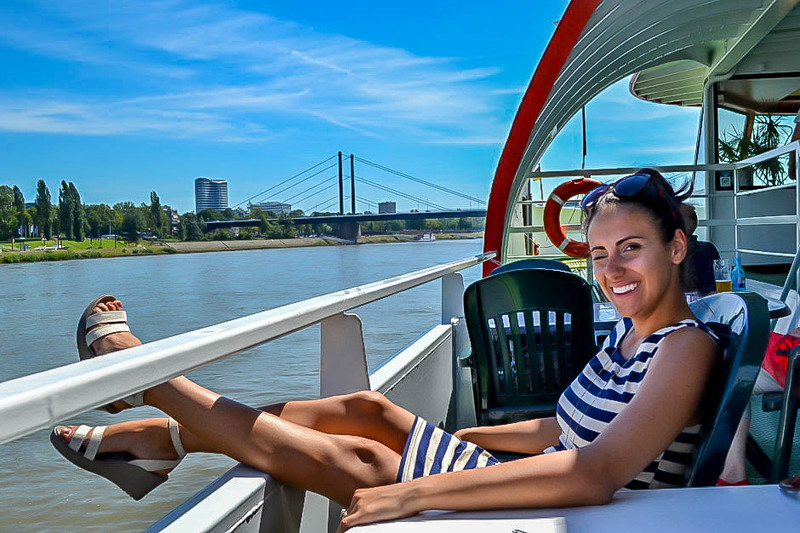 Jenna Davis is the Founder and Community Explorer for Life in Düsseldorf, an online community platform where locals and internationals alike are able to share their tips and tricks to living it up in the city. Jenna is a Canadian expat who has been living in Germany for almost 3 years and works full-time as a content creator and social media freelancer in the tourism industry. If you have any questions about relocating to Düsseldorf, Germany, feel free to email Jenna with any questions you may have. 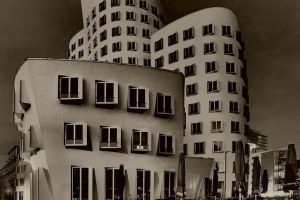 These articles/posts are so very helpful, I am relocating to Düsseldorf in November from Chicago. I am also Canadian although I’ve lived outside of Canada nearly 25 years already. Good luck with the move Mark! If you require any assistance with relocation or dealing with any bureaucratic issues then feel free to give us (or Jenna too) a shout! LiveWorkGermany is launching paid services on the website soon to assist online with expat bureaucratic hurdles, without the need to hire expensive relocation agents. A good city for expats is that in which you can still make somewhat a life in English and also that where the Germans don’t look down on foreigners and bouncers from clubs are not racist. Düsseldorf is CLEARLY NOT that city. And I lived there a year as an expat so I know the city. Thank you so much for this article. I am planning to relocate in November and Good to know there are meetups for expats. I’m very excited and looking forward to the new experience.